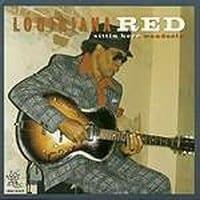 This CD follows Louisiana Red's triumphant 1998 return to America on the festival circuit, and his first new US recording in many years. 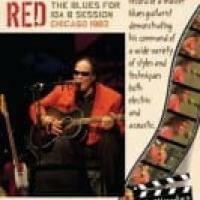 In this mix of solo acoustic blues guitar and classic Chicago electric band contexts, Red demonstrates that he learned his lessons well from the blues musicians who mentored him so long ago. His impassioned vocals, dexterous finger-picking, and aggressive slide guitar work, wrapped around his personal story in song make for a compelling story of a triumph over a tragic childhood through the power of the blues. He is accompanied by a hard-driving band of Chicago all-stars, including Handy Award winner Willie Kent on bass, Dave Jefferson--formerly of the Albert King band-on drums, Allen Batts of the early Albert Collins' Ice Breakers band on electric piano, ex-drummer in the Muddiy Waters Band Willie "Big Eyes" Smith on harmonica, and Brian Bisesi, currently with Luther Johnson's band-on rhythm guitar. 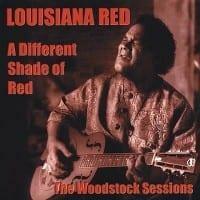 It's an event when Iverson Minter (aka Louisiana Red) puts out a recording, but even rarer a date that has Willie "Big Eyes" Smith, an exceptional blues drummer, wailin' on the harmonica! Add bassist Willie Kent, keyboardist Allen Batts, drummer Dave Jefferson, and second guitarist Brian Bisesi for an excellent blues crew. 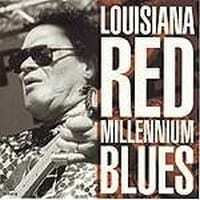 In the middle is Red's gruff vocal and simple, loping guitar, the catalyst for the fireworks on this authentic roots and contemporary Chicago-style blues CD. These are mostly personal songs, reflecting the tragedy and sorrow of Red's childhood, and the injustice of the current world we live in. The first piece, "Red's Vision," speaks of the President's impeachment, churches burning, and memories of Muddy Waters and Lightnin' Hopkins. "That Detroit Thing" recalls his time in the Motor City. "Arlene Blues" asks "what kinda gal are you?" Then you have good-time tunes like "Let Me Be Your Electrician" so "I can turn your power on." 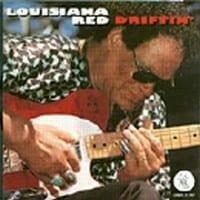 There are three instrumentals, the easygoing swing of "Red's Jazz Groove," the "Killin' Floor"-like "Texas Jump," and the Muddy Waters ramblin' rock of the title track. In the middle of the program is an acoustic guitar and vocals-only autobiographical section, with songs about being in an orphanage, a story about old squeeze "Leechie Geddens," and the tale of running away and being "Home in a Rock." 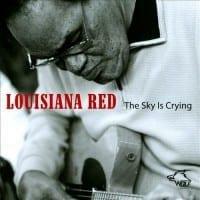 These are more in the Leadbelly to Mississippi Fred McDowell bag, and an intriguing change of pace. Red sounds good, the band sounds good, Smith is a surprisingly good harmonica player, and there's no reason why blues fans everywhere won't get next to this CD by a man who intimately knows the blues from a deep, personal perspective, and is not shy about telling you how he feels. Highly recommended.